If you are looking for organized bicycle rides in the Claremont, California area, you’ve come to the right place. 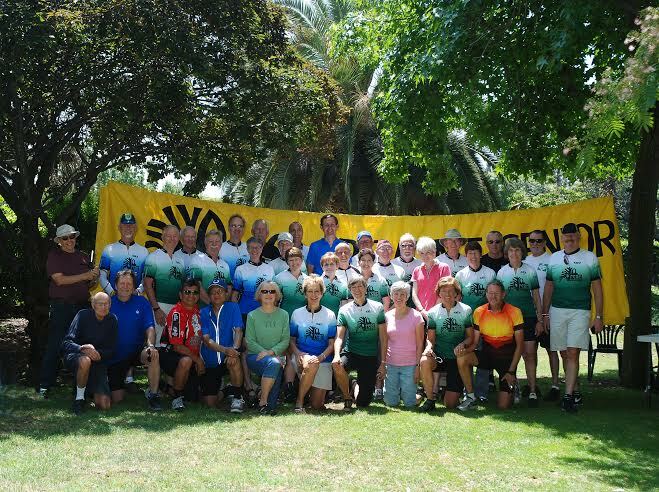 The Claremont Senior Bike Group (CSBG) is a fun, friendly group of cyclists of all skill levels. Claremont has been designated a Bicycle Friendly City by the League of American Bicyclists! 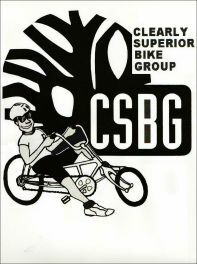 We use our CSBG Meetup group to schedule and announce our upcoming special rides and events (CSBG members only). We also have a variety of local weekly rides for various skill levels. All riders must wear a helmet and sign the CSBG Waiver. We provide an environment where folks can participate and grow in bicycling in a safe, friendly setting. We are not a racing club, but we do enjoy and encourage recreational bicycle riding at all skill levels. All adult ages and skill levels are welcome. We have about 60 active riders, and more who ride on occasion or intend to start soon. Our group continues to grow every year. Currently we have about 120 members. Membership is free since we are sponsored by the Claremont Senior Program. The median age of our frequent riders is about 65, several of our riders are in their 40s and 50s, and some of our most active riders are in their 80s. Nearly half of our riders are women. Was curious if there was a senior bicycle riding group in our area (La Verne residents) After many years of not riding my wife and I are back pedaling again. Decided to google senior bicycle riders and up came CSBG. Your group sounds very interesting. I’m 66 and live in the mountain resort of Wrightwood on the desert side of the San Gabriels. I’ll be retiring in 2 weeks and hope to start riding more often than 1-2 times a week. Since I like to come your way to do some relatively “flat rides” (I’m not a climber, even though I live in the mountains), I may try to join you folks on one of your rides – sounds like my kind of group. Thanks and take care. Joe – we hope you can join us! Thanks for stopping by. Good morning! I hope sometime in the near future (perhaps next Thursday-March 17) to join you folks on a ride. I did print out and will bring to the ride, the CSBG ride waiver. Larry Johnson was kind enough to inform me of your club and all the enjoyment to be had with your rides. Oh BoY!! My bad; I meant to note Larry OLSON (not Johnson). Am Doug, rode your tuesday beginners ride, like the club, live in glendora, am now riding up toward glendora mountain rd, every day , so I can get in shape and ride with the club, may try this saterday morning breakfast ride. Greetings, Doug! We look forward to meeting you!